In the new book The Swimming Pool in Photography, published by Hatje Cantz, Francis Hodgson includes iconic and obscure images of sanitarium-style public baths, backyard basins, fascist Olympians, face-lifted starlets, and the odd waterslide. Yet it wasn’t the kidney curves of Beverly Hills that brought back the burn of chlorine to my eyes, nor the steam off an Alpine sauna. 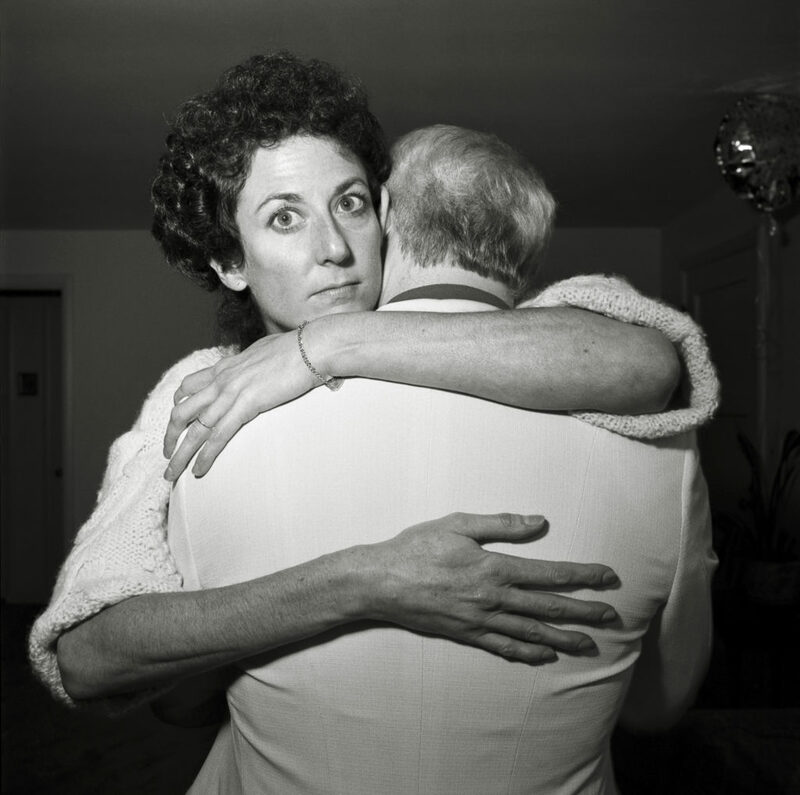 It was a handful of photographs showing vacationers at motel pools. Shot on color-drenched Kodachrome and semistaged, these mostly anonymous photographs advertise a seasonal, obtainable version of the good life. 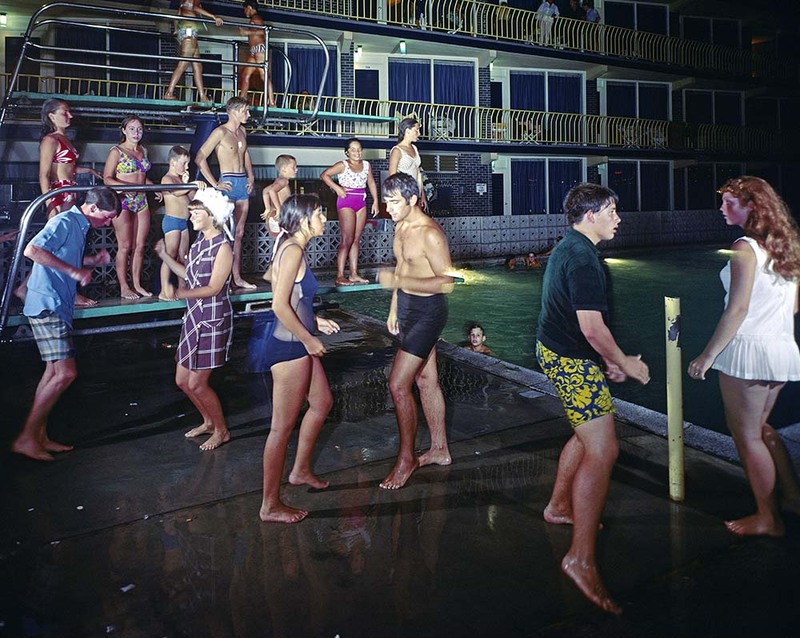 The pools, many of which exist within the same space as the parking lot and the row of numbered doors, speak to a moment in America when average people had the resources to travel and relax—and to the temporary communities set up around these roadside oases. Those who know the tedium of the summer road trip—the nausea, the sweat behind the knees—also know the specific joy of a motel marquee, backlit by the evening sun, bearing those four closely kerned letters. 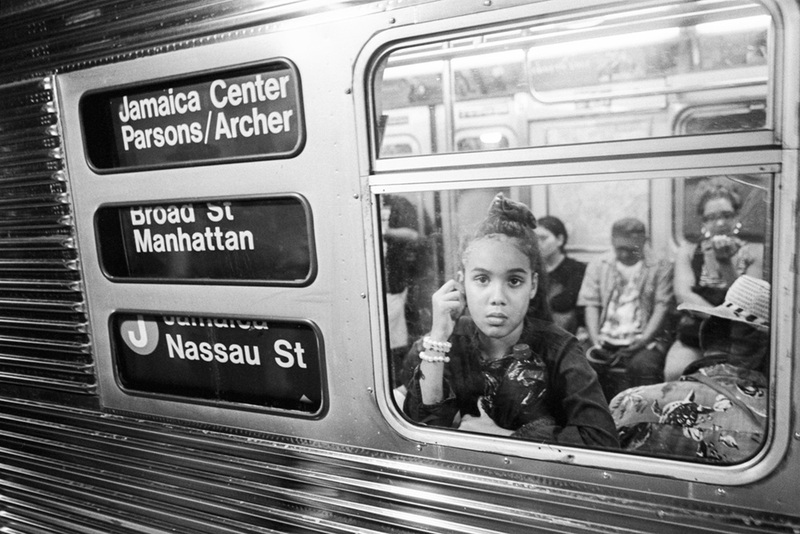 Some say the journey is the destination. I’d trade both journey and destination for the motel pool—not too chilly, not too crowded, within walking distance of a Golden Corral. The tension between trees and female disobedience is biblical. After succumbing to the snake’s suggestion and partaking of an apple from a tree, Eve gets some bad news: her body will bring her shame and pain. She is not meant to reach into trees or climb them; she should quietly remain on the ground and bear new life. Get down, history has said to the grown woman brazen enough to take even a brief arboreal leave from her earthly duties. Once a woman is off the ground, it may occur to her to keep on climbing. A man might find himself standing beneath her, subject to the sight of her womanly behind on a branch above his head. 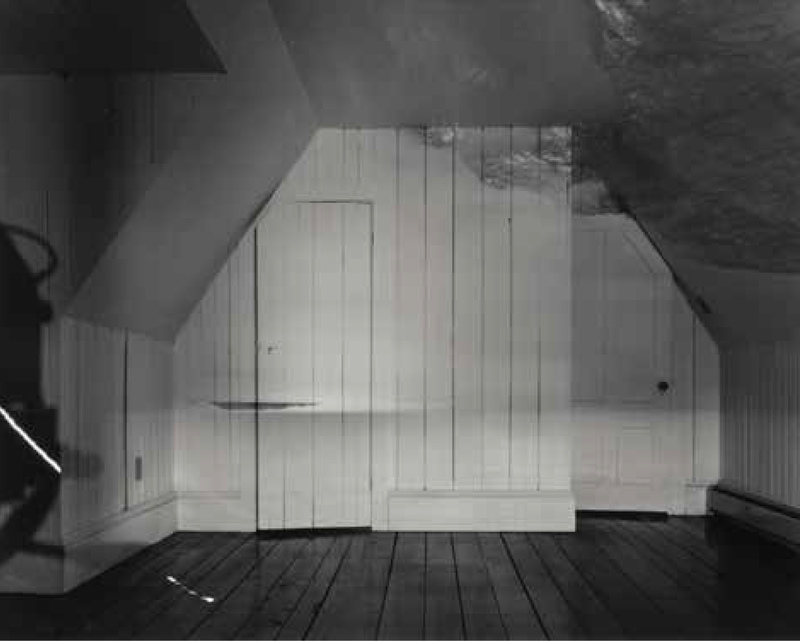 Abelardo Morell, Camera Obscura: The Sea in Attic, 1994. 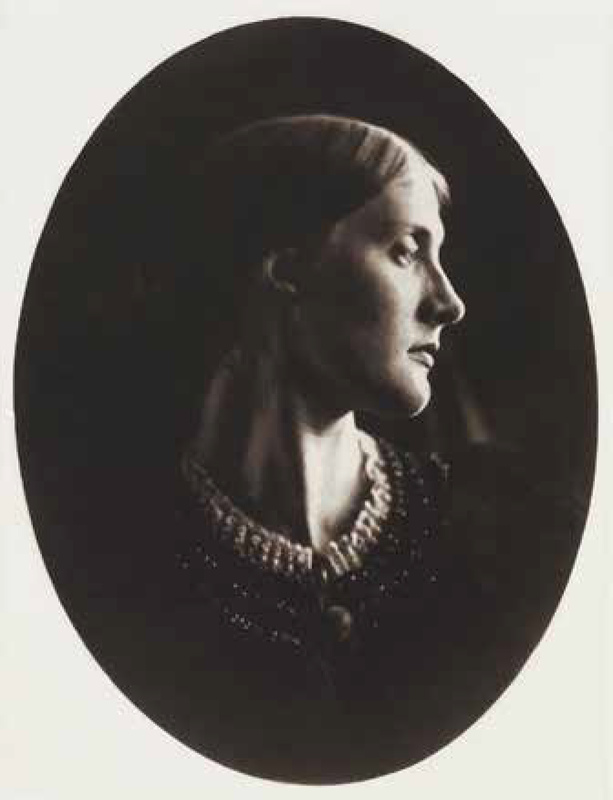 Virginia Woolf’s mother, Julia Jackson, was the photographer Julia Margaret Cameron’s niece, and among Cameron’s loveliest subjects. She also served as inspiration for the charismatic figure of Mrs. Ramsay in Woolf ’s novel To the Lighthouse. Julia Margaret Cameron, Julia Jackson, 1867.